A woman from Royton who was found guilty of murdering her elderly aunt 21 years ago has passed away just days after the emergence of compelling new evidence which could exonerate her. 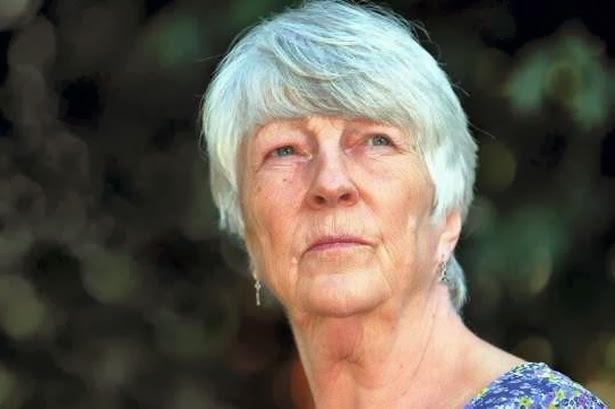 68 year old Susan May, who was receiving treatment for cancer, hoped her case would be referred to the court of appeal after a report from a leading fingerprint expert was submitted to the Criminal Cases Review Commission (CCRC) last month. Sentenced to life imprisonment in 1993 for the murder of Hilda Marchbank, May consistently protested her innocence and was released in 2005 after serving her minimum tariff of 12 years. At her trial a jury heard that May’s fingerprints were found in her aunt’s blood on the wall of the victim’s bedroom, placing her at the scene of the crime. But the report by Arie Zeelenberg, the former head of the national fingerprint service of the Netherlands, concluded that the prints attributed to May were made before Marchbank's murder, and that there was no evidence that the marks on the wall contained blood. He said: "Mistakes led them to the wrong conclusions…There is overwhelming evidence that they were not comprised of blood but of sweat and a minor residue of another unknown substance." Susan’s friend Geoff Goodwin said the fight to clear her name would continue: “Susan's passing has come at such an untimely point in her fight to clear her name. The recent report by an eminent fingerprint expert affirming that the marks alleged to be blood are in fact in sweat must be strong enough for the basis of a new appeal; an appeal that Susan will not now be able to attend. “We have always known there was no scientific evidence to back up the blood claim and, when you are innocent, it is horrendous to keep being told something you know is incorrect. Now, at last, an expert has looked closely at this and not been influenced by prior misconceptions," she said. “I sincerely hope now the CCRC will see fit to refer my case back to the court of appeal. The report undermines the whole prosecution case and can end my nightmare." May’s case has already been back to the court of appeal twice before, and 72 MPs signed a petition expressing concerns over the safety of her conviction. Greater Manchester Police remain convinced of May’s guilt. However, their handling of the case has been called into question. “manipulating” evidence in order to construct a case against May. Thomas said: "The evidence may point to a pattern of behaviour which raises a reasonable suspicion that the investigation was prejudicial, if not overtly corrupt. My own review, based on disclosed documents, revealed a number of apparent anomalies in the case...These anomalies may point to an investigation, the principal purpose of which was to prove, by the selective use and non-disclosure of evidence, the hypothesis that Susan May was guilty of murdering her aunt." "A disinterested observer may conclude that some evidence had been manipulated to construct a case against Susan May". He added that a "number of police witnesses may have adjusted their evidence to fit a desired rather than valid outcome." Following the murder several witnesses reported seeing a red Ford Fiesta with its engine running outside Marchbank’s house at midnight on the night of the murder. Police tracked down and interviewed several people in the area with access to red Fiestas. One of the men questioned, George Cragg, told the Guardian that the police instructed him to lie in order to eliminate the car from their enquiries and construct a case against May. Police also failed to pursue an anonymous phone call naming Michael Rawlinson, a local heroin addict who had access to a red Fiesta, as the killer. Rawlinson, a convicted robber, was murdered in a drugs dispute in 2001.